A note on : Two new courses for Poetry School - European Poetry Now! I'm delighted to be returning to teaching at the Poetry School, after nearly two years away from the fold. It is a place where I have met some of the finest poets and humans I've come across in this tiny tiny world. In the spring 2018 I am running two separate but intertwined courses. Please do book one of them and come be a part of our continent still yes. As the UK sadly divorces itself from the EU, this course with SJ Fowler, director of London’s European Poetry Festival (April 2018), abjures further divisions by embracing (and reclaiming) contemporary European poetry. In this course you will be introduced to dozens of working poets and multifarious traditions, drawing on modern poetic history and with an emphasis on the radical, experimental and avant-garde. Exploring constraint, concrete, visual, sound, performance and language poetry, this is a chance to gain access to poetic cultures and scenes almost completely hidden from British poets and readers, and making your own new work in response. 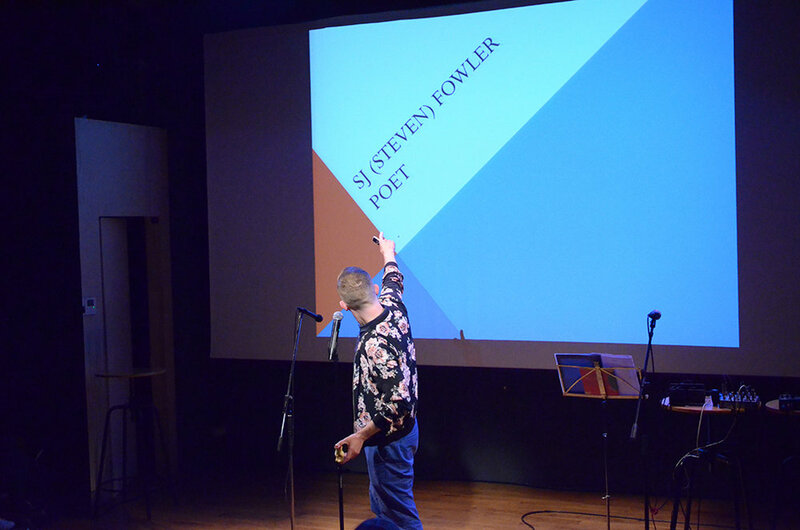 This intensive two-day course with SJ Fowler, director of London’s European Poetry Festival (April 2018), explores what is happening right now in a golden age of poetic innovation just over the Channel, and how that offers British poets the chance to expand their own poetic practice. Focusing on methodology and making over two days, exploring relay-style the ten themes of the Festival, this crash-course draws on huge array of ground-breaking yet little-known European poets to blaze new paths into language, visual and live poetries. Participants will also have the opportunity to develop their own works for presentation at the European Poetry Festival. A two-day workshop running 10:30am – 4:30pm on Saturday 17 & Sunday 18 March.